Strawberries, blueberries, blackberries, raspberries, boysenberries, cherries, and cranberries are just some of the wonderful berries that come into season this time of the year. And there are so many ways for you to enjoy the health benefits of berries. Most are delish on their own and make a wonderfully healthy snack or top with a dollop of whip cream for a light summer dessert. Berries are naturally low in calories, fat, and sugar so they complement any eating style. Adding a few servings of berries into your daily diet is a great way to get some added nutrition with very few calories. All berries are not a created equal. 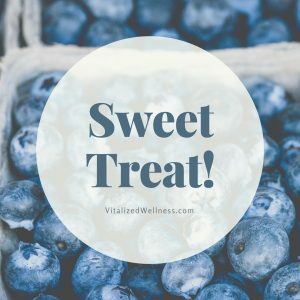 The health benefits of berries can be unique to the type of berry, however, all berries do share a few common health benefits. They are little powerhouses of vitamins, minerals, antioxidants, flavonoids, and fiber. Let’s take a look and see just how good for you they are. Berries are chock full of powerful cancer-fighting antioxidants like anthocyanins, ellagic acid, and resveratrol. These antioxidants help to keep cancer-causing free radicals under control while reducing oxidative stress and chronic inflammation. Chronic inflammation is believed to be at the root of all disease. So eat those berries! If you are looking to control blood sugar, there is no better whole food than berries. Berries are naturally low in sugar and are packed with blood sugar stabilizing fiber that burns slower and requires less of an insulin response. Studies have also shown that blueberries improve insulin sensitivity in insulin-resistant patients. Fiber keeps you fuller, longer. Pound for pound, berries are a great source of fiber. Adding fiber-rich foods like berries to your diet is very helpful for natural appetite control because you stay satisfied longer. And, fiber has been shown to benefit both heart and digestive health. Berries are a nutrient-dense food which means you get more nutrition contained in fewer calories. This is the exact opposite of the way most of us eat choosing high-calorie foods with little or no nutritional value. Berries give you so many choices for good nutrition. 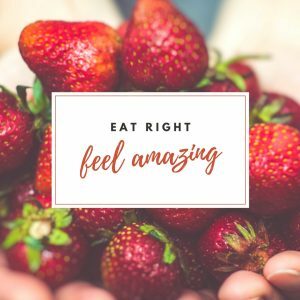 For example, one cup of strawberries gives you an entire day’s supply of vitamin C.
Studies have shown that people who consume berries daily can experience significant reductions in LDL (bad cholesterol). Berries also help to keep LDL from becoming oxidized which is believed to be a major risk factor for heart disease. And the high fiber content of berries helps to “brush” cholesterol from the digestive tract before it can be absorbed. There are so many more health benefits of berries, far more than I can mention here. So, be sure to look for a variety of berries at your local farmers’ markets and farm stands during the coming weeks. Many varieties of berries will be coming into season throughout the summer. Here’s a great gluten-free recipe for fresh blueberries. You’d have a hard time finding a muffin recipe with more protein and fiber that is naturally low glycemic. Combine eggs, cinnamon, baking powder, vanilla, maple flavoring, fructose or stevia, and eggs. Add ground oats and blueberries. Divide batter into 6 lightly greased muffins, using large muffin tins. No muffin papers. Bake 29 minutes in a preheated 350° oven. Last week I talked to you about gut health. 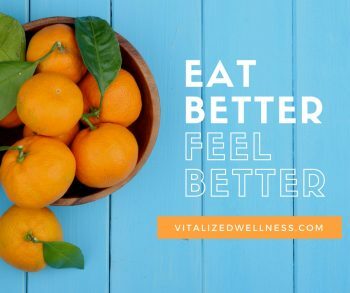 (click here if you missed it) One of the tips I gave you was to remove certain foods or food groups for a period of time to see if you feel better without them. Diary is typically one of the most common gut irritants and one of the first foods I recommend be eliminated. But, Is Dairy Bad For YOU? Dairy intolerance is tricky and can manifest in different ways. This is because there are several problematic ingredients in dairy products that can produce different types of reactions in different people. Some of the more obvious symptoms are abdominal pain, discomfort, and nausea. It also causes embarrassing symptoms like flatulence and diarrhea. Other symptoms linked to dairy or other food intolerances can include muscle or joint pain, headaches, exhaustion, and even skin symptoms like rashes and eczema. And then there are others which are specific to a dairy allergy or intolerance that I’ll get into a little later in this post. I’m going to break it down for you by pointing out some of the problematic ingredients in dairy along with the common symptoms each may cause. You can determine for yourself – Is Dairy Bad For YOU? But first I’ll share a tip with you. Eliminating dairy from your diet may help you to see your symptoms better. You may be so accustomed to your symptoms that you don’t even notice them anymore, or attribute them to another cause. I see this often with clients. It’s only after being off dairy for a couple of weeks and then reintroducing it that you will clearly see how your body responds. It’s estimated that up to 75% of adults are lactose intolerant. Lactose is the milk sugar naturally found in most dairy products. Lactose intolerance is so common you can buy lactose-free milk in your regular grocery store. You know, those silly talking cow commercials? Lactose-free products are treated with the enzyme “lactase” that breaks down the lactose before you ingest it. It’s this lactase enzyme that is lacking in most people who are lactose intolerant. When someone doesn’t have enough lactase enzyme undigested lactose ends up being food for the resident gut microbes that I spoke to you about last week. As the microbes break down the lactose, it creates gases that cause bloating, flatulence, pain, and sometimes diarrhea. Fermented dairy like cheese and yogurt have less lactose. So does butter. You must be a diligent label reader to avoid an accidental dose of lactose. Dairy is added to other foods like baked goods, soups, and sauces. And watch your medications or supplements as lactose is a common ingredient in there too. Remeber Little Miss Muffet eating her curds and whey? She likely didn’t have a dairy allergy. These are the two main proteins in milk. The solid bits are the curds made of casein, and the liquid is the dissolved whey. Unlike lactose intolerance, casein and whey can cause an actual immune response which is considered an allergy. And this immune response can cause inflammation. Like lactose, these allergenic milk proteins can be found in other products too. They’re not just in dairy but are often in protein powders as well. Whey based protein powders are very common. Some of the symptoms of a milk protein allergy differ from that of lactose intolerance; things like nasal congestion and mucus (phlegm) are more common here. This is what happens to me when I eat dairy. I get a stuffy nose and phlegm in my throat. And, if I eat enough of it, my ears will fill with fluid. This is why children with chronic ear infections and other respiratory issues should be taken off of all dairy products. Interestingly, people who have gluten intolerance are often allergic to milk proteins like whey and casein as well. These can go hand-in-hand. I can vouch for that too! Along with a dairy intolerance I am gluten sensitive. But, I can also tell you from years of experience, that it’s not the end of the world. I eat tons of delicious foods and have no problem getting all the calcium and other nutrients my body needs without dairy and wheat. Like lactose intolerance, if you’re allergic to casein and whey keep an eye on labels so you can avoid these too. I’ve been living gluten and dairy free for many years. If you need some help figuring all this out let me know in the comments below or drop me an email. If you get gassy, bloated, or diarrhea after eating dairy, you may have a lactose intolerance. If you often get a stuffy nose and mucus, then you may be allergic to casein and/or whey. These symptoms should help you answer the question – Is Dairy Bad For YOU? Here’s the thing, dairy is not essential to a healthy diet. All the nutrients in dairy are available in other foods that are often easier to digest. If you experience any undesirable symptoms when you eat dairy, don’t eat dairy. You may find improved digestion and fewer gut issues. Or you may find you have less nasal congestion, or even less belly fat. If you decide to or have already removed dairy from your diet, let me know your experience in the comments below. Here’s a yummy dairy-free summer treat! While this may not be 100% true for every disease in every person, more and more research shows that our gut, or digestive system, has a bigger role in many diseases than we used to think. There are a few reasons for this. One of which is that it’s here where disease-causing bacteria, viruses, parasites, and toxins can be absorbed and spread to other body systems. And probably the most important link to overall health is that more than 70% of immune system cells reside in our guts. We also take in nutrients through our gut. The nutrients we ingest and absorb are the building blocks of every single part of our body. An unhealthy gut has compromised absorption of nutrients. We’re just learning the connections between our gut and other areas of our body, like our brain. It’s not only gut; but, its friendly resident microbes too. These guys also have newly discovered roles in our gut health and overall health and help to keep our gut ecology in balance. Regular bouts of heartburn, constipation, diarrhea, IBS, or IBD can be signs that you’re gut ecology is out of whack. Heed these early warning signs. 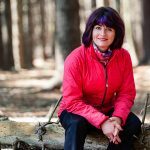 A prolonged imbalance of gut ecology can lead to allergies, pain, inflammation, mood disorders, cognitive decline, nutrient deficiencies and possibly disease. So, let’s talk about the roles that our gut and our gut microbes play in our overall health. Then I’ll give you tips to improve gut health naturally. For one thing, our guts can “leak.” Yes, like a long tube with holes in it. It can allow things to get into our bloodstream/bodies that can wreak havoc, like bacteria, undigested food, and toxins. You name it, whatever you put into your mouth can be absorbed by your gut and get into your bloodstream, even if it’s not supposed to. 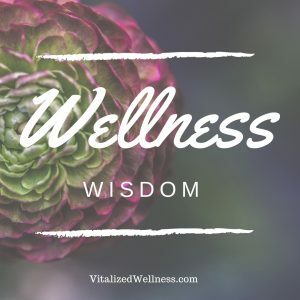 And when your gut wall gets irritated, it can “leak.” When this happens, you get inflammation, which is a starting point for many diseases that don’t seem linked to the gut but have a sneaky connection there. A healthy gut is not a leaky gut. It maintains its barrier and shuttles things through to be eliminated. Maintaining a healthy gut barrier is the first way to improve gut health. The second main part of your gut are the billions of friendly health-promoting microbes. Gut microbes help us digest and absorb nutrients. 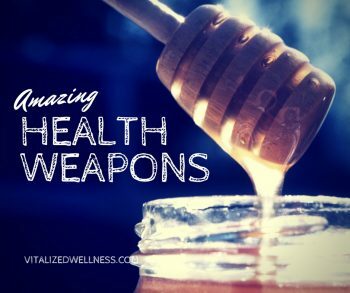 They fight off disease-causing microbes, aid in nutrient absorption, make some vitamins for us, and have all kinds of other health benefits, like mental health benefits, reducing inflammation, and stabilizing blood sugar. So, keeping your gut microbes in good shape is another way to improve gut health. It’s always best to eliminate the cause, so let’s stop giving our guts junk to deal with. How about eliminating added sugars, processed foods, and alcohol? Dairy and grains contain common compounds known to irritate some people’s guts too. Sometimes you only need to eliminate them for a few weeks to see if it makes a difference for you. By eating nutrient-dense foods, we allow ample macro-and micro-nutrients into our gut to maximize the chance for absorption. These nutrients help our bodies build and repair our gut, and every other body part as well. Some of the most nutrient-dense foods include dark leafy greens, colorful fruits and veggies, liver, and fish. You can’t improve gut health without adding in healthy microbes. By ingesting probiotic-rich foods and drinks, we can help to replenish our gut microbes. These are found in fermented foods like kombucha, kefir, miso, sauerkraut, and kimchi. Taking a high-quality, pre and probiotic supplement helps too. Click Here to see the one I recommend and use myself. Make these a part of your daily diet. Whole foods are full of gut-friendly fiber. Not eating enough fiber increases the risk of heart disease, cancer, diabetes, and obesity. Fiber plays lots of roles in our gut, including whisking away some of those pesky bad bacteria and toxins so they can be eliminated. Fiber also helps to feed the friendly resident microbes that help us absorb and digest our food better. What foods have a lot of fiber? Fruits, vegetables, nuts, seeds, and even cacao. And don’t forget the oh so important lifestyle factors like getting enough sleep, stressing less, and getting the right amount of exercise for you. It’s easy to forget some of the simple, but key links there are between what we do with our bodies and how well they function. A healthy, well functioning gut is key to your overall health. The two most important areas to pay attention to are maintaining a good barrier and maintaining healthy gut microbes. The recipe below is a great way to replenish and restore good gut microbes. Yes, there really are must eat breakfast foods. And, I know this sounds like a bad cliche, but breakfast really is the most important meal of the day. Think about it. You’ve been fasting all night as you sleep and it’s been 8, 10, maybe even 12 hours since your last meal. Your body NEEDS a good breakfast! Due to this short-term fasting, your blood sugar is at the lowest point of the day. The last thing your body needs is for you to eat some empty carbohydrate or sugary breakfast. This will make your blood sugar spike suddenly and set you up for a nasty mid-morning slump as your blood sugar takes a nose dive when the sugar high wears off. That’s why protein along with some good fats make the best breakfasts. These two macronutrients burn slowly and keep you fuller longer while stabilizing your blood sugar. No mid-morning slump. These powerhouse nutrients also turn your metabolism back on and aid in weight loss. So, I’m going to show you how to get the protein and healthy fats for your soon-to-be favorite new “go-to” breakfasts. And, I’ve tossed in a great omelet recipe that gives you a healthy dose of veggies too! Not to mention how easy it is to boil a bunch of eggs and keep them in the fridge for a “grab and go” breakfast or snack when you’re running short on time. And…nope the cholesterol in eggs is not associated with an increased risk of arterial or heart diseases. That’s outdated nonsense that has no basis in science. One thing to consider is to try to prevent cooking the yolks at too high of a temperature because that can cause some of the cholesterol to become oxidized. Click here to learn to make a fool-proof hard-boiled egg. Nuts and seeds contain protein, healthy fats, vitamins, minerals, and fiber. Nuts and/or seeds make a great contribution to breakfast. And, don’t be fooled by “candied” nuts, sweetened nut/seed butters, or chia “cereals” with added sugars – you know I’m talking about the real, whole, unsweetened food here. Skip the fruit-filled yogurt cups and add some nuts and your own berries to a cup of plain greek yogurt. This will give you a protein-packed breakfast with good fats that will keep you satisfied all morning. Nuts and seeds are also the ultimate fast food if you’re running late in the mornings. Make up some premade ziplock bags full of your favorite nuts. Grab and go as you’re running out the door; you can nosh on them while you’re commuting. Not to mention how easy it is to add a spoonful of unsweetened nut/seed butter to your morning breakfast smoothie. There are lots of smoothie products on the market. Choose wisely or you could end up drinking your entire days worth of sugar and empty calories in your morning smoothie. This is my go-to morning protein smoothie mix. Loaded with 24 grams of protein (when mixed as directed), omega-3 fatty acids, 23 essential vitamins and minerals, one billion probiotics, and leucine – an amino acid that builds lean muscle. 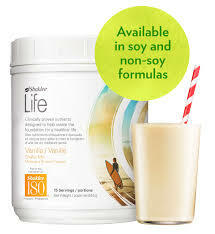 I prefer the non-GMO soy version, but it’s available in non-soy formulas too. You can choose from lots of yummy flavors. And you can even heat it up in the colder months when you want something warm in the morning. Or, add some ice cubes in the summer for more of a frozen smoothie. I add some fresh or frozen berries along with a tablespoon of flax oil or nut butter and I’m good to go for hours and hours before I feel hungry again. I hope you have a better understanding of why eating a breakfast rich in protein and healthy fats is so important. What you eat for breakfast can set you up for a really great day full of energy and stamina or a day filled with highs and lows from blood sugar swings and unsatisfied hunger. This is why proteins and good fats really are must eat breakfast foods. Here’s a quick and easy omelet recipe. Its packed with protein and good fats with a healthy serving of veggies. And, eggs aren’t just for breakfast anymore. This omelet makes a great lunch or dinner. In the meantime grab a bowl and beat the egg(s). Add your vegetables, avocado, and choice of spices. Last week’s blog post showed you how to decipher the Nutrition Fact Table on packaged foods. (click here if you missed it). I thought I’d stay with the packaged food theme and talk to you this week about Three Food Preservatives You Want To Avoid that are commonly found in these foods. Simply put, a preservative is a substance added to foods to make them last longer. Preservatives are found in all kinds of products in our grocery stores. Foods with preservatives are more-processed, less-nutritious foods to begin with – not exactly health foods. So, even if you don’t mind preservatives, you probably should cut down on these kinds of foods. 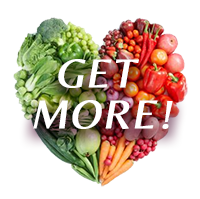 Opting for fresh, whole foods to make up the bulk of your diet will naturally lead you to healthier food choices. Here’s a quick rundown of the Three Food Preservatives You Want To Avoid. Another interesting thing is that processed meats have been linked to colon cancer. Because of the nitrites? Perhaps, but either way, nitrosamines are a confirmed health-buster. Have you seen on packages “BHA/BHT has been added to the package to help maintain freshness?” Perhaps on cereal packages or in gum? These are a completely different type of preservatives. BHA (butylated hydroxyanisole) and BHT (butylated hydroxytoluene) are antioxidants added to many processed foods. BHA and BHT prevent fats from going rancid. Are they safe? Well, they’re approved for use as a preservative in small amounts. However, some studies show they can cause cancer in animals at high doses. Again, they’re added to processed pre-packaged foods, so you can easily avoid them by choosing fresh, whole foods. There are a lot of preservatives in our food supply. These compounds work by preventing the growth of bacteria and mold, or by preventing fats from going rancid. And they’re mostly found in processed foods. These Three Food Preservatives You Want To Avoid are the most common. The only way to avoid them for certain is really simple. Eat fresh foods.